An interesting silhouette and shadow study from our Family Portrait Marathon. 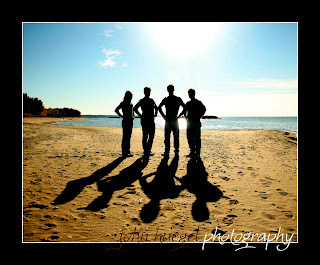 The sun was above and behind the subjects, creating some interesting stretched shadows in contrast to their silhouettes. A little compression was applied using the Curves tool, to emphasize the color and texture of the sand.